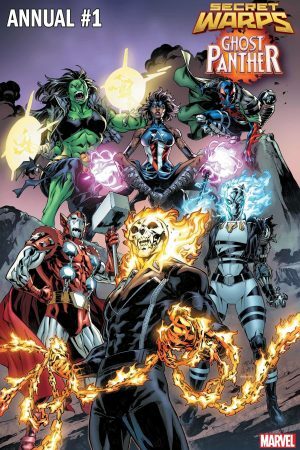 In Secret Warps: Soldier Supreme Annual #1, writers Al Ewing and Mark Waid team up with artists Carlos Gomez and Alex Lins for Part 1 of an interconnected story, “Acts of War”! 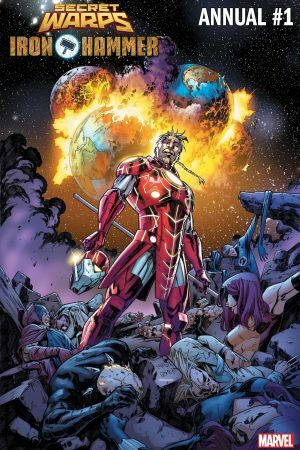 As the villains of Warp World trade foes, it begins a rift between Soldier Supreme and Iron Hammer that could tear the Super Hero community in half. But could this criminal conspiracy be the portent of a much bigger cosmic calamity? Plus: A bonus tale of Soldier Supreme versus Baroness Umar for the fate of our nation. Then, in Secret Warps: Weapon Hex Annual #1, Ewing and Tim Seeley join artists Carlos Villa and Bob Quinn for Part 2, “Inferno Attacks”! 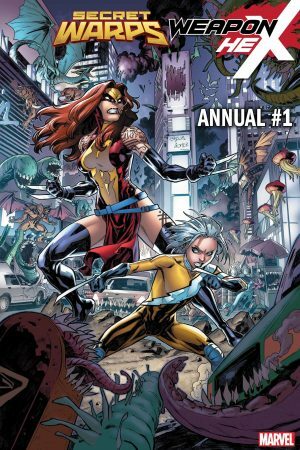 Next, in Secret Warps: Ghost Panther Annual #1, Ewing and Daniel Kibblesmith align with Carlos Gomez and Ig Guara for Part 3, “Days of Future Mars”! 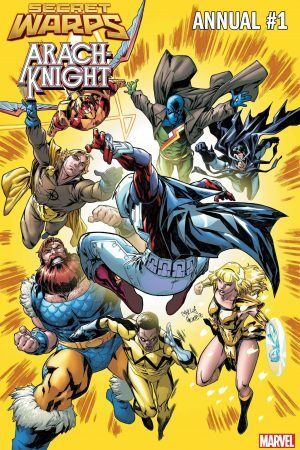 In Secret Warps: Arachknight Annual #1, Ewing and Jim Zub fuse with Carlos Villa and Carlo Barberi for Part 4 of the tale in “Supremeuniversal”! 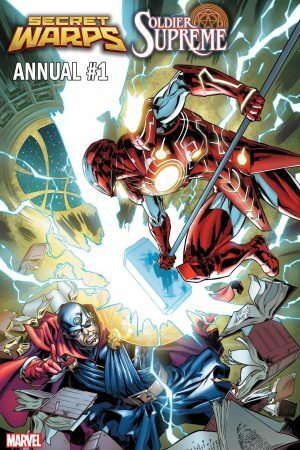 And finally, the action concludes with Secret Warps: Iron Hammer Annual #1! Ewing and fan-favourite Tini Howard join Carlos Gomez and Ario Anandito for the final part of the story, “Secret Warps”!